We are instituting a new feature in the current Books Are Nice Week: Ebooks Are Nice, Too. We’ll have a post (hopefully) each day this week about ebooks related to Jane Austen. So if you’re curious about perhaps dipping a careful toe into the ebook waters, but are not prepared to spend hundreds of dollars on a dedicated reading device such as the Kindle, the Sony Reader, or the Cybook Gen 3 (we have the latter device), there are ways to try out the wonderful portability of ebooks without spending a penny. If you have a PDA such as a Palm or Pocket PC device, or even the very new and dashing iPod Touch, you already have the device you need to read ebooks. eReader and Mobipocket are easy to download and work wonderfully on Palm and Pocket PC devices; indeed, if you have a Palm, eReader probably came installed, and the Pro version is now free to download, as is Mobipocket. eReader has been ported to the iPhone and iPod Touch, and we are informed that Mobipocket is working diligently on a version for the iPhone and iPod Touch. If you don’t have a PDA, they can be picked up used or refurbished very inexpensively on sites such as overstock.com, buy.com, and eBay. We’re happy to assist if you have questions about the various devices. Smartphones such as the BlackBerry, Treo, Windows Mobile devices, and iPhone also can use eReader and/or Mobipocket. Hate the BlackBerry you have to carry for work? Make it fun–add some Jane Austen to it! With a smartphone’s constant connection to the Internet, you can even download books directly from several vendors and free ebook providers without the intermediate step of hooking the phone to a PC. Take that, Kindle! The iPhone and iPod touch also can use Stanza, a platform that we find most intriguing as it supports both ePub, a format upon which the various manufacturers are attempting to standardize ebooks, and eReader with DRM (on the phone/touch only, not on the desktop). A dynamic community of developers and ebook providers has grown around Stanza and we hope the platform is adopted by other manufacturers. It seems particularly suited to the advanced multimedia capabilities of the iPhone and iPod Touch. So you’ve got your software: now to get your books. Jane Austen’s books are available for free from several providers. Feedbooks is one of our favorite sources of free ebooks. If you have a Kindle or use Stanza on your iPhone or iPod touch, you should definitely check them out. They offer an easy way to download free, beautifully formatted ebooks right over the air. Naturally all of Jane Austen’s books are available, along with a host of other public domain ebooks. MobileRead is a community site dedicated to ebooks, and some of the members have formatted and uploaded public domain ebooks to the site’s database. All of Jane Austen’s novels and some of the minor works are available, and the novels include the Brock illustrations from Molland’s and Solitary Elegance. GirlEbooks offers free versions of all of Jane Austen’s novels and an inexpensive compilation version as well. They also offer books by authors that Jane Austen would have read, such as Ann Radcliffe, Fanny Burney, etc. Manybooks.net has the largest selection of ebooks in the widest variety of formats; however, some of the formatting in some books is a bit dodgy, but they are definitely improving. 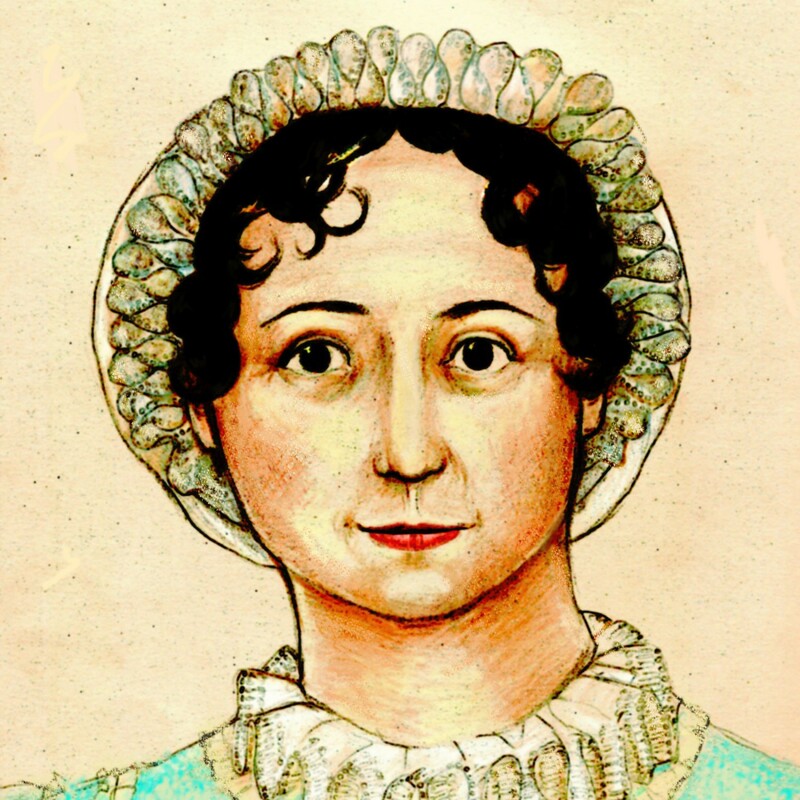 All of Jane Austen’s books (and some of the minor works) are available for free download. They also have a low-res mobile site at mnybks.net which is extremely convenient for downloading to a mobile phone. We encourage our readers to download some ebooks to your phone or PDA and try them out; we think you’ll agree that Ebooks Are Nice, Too! P.S. We are looking for owners of various ebook devices to write a short review for AustenBlog, particularly the Kindle, the Sony Reader, Stanza on the iPhone/iPod Touch, and eReader and/or Mobipocket on the BlackBerry. The reviews will be posted this week, so fast turnaround is necessary. If you’re interested, send us an e-mail.